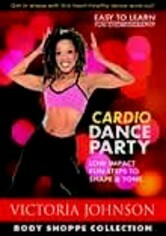 Victoria Johnson will dance you into shape with this heart-pumping cardio workout. 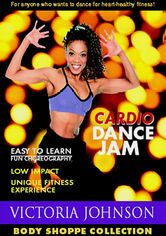 Get fit while learning dance techniques from jazz, funk, ballet, hip-hop and modern dance. This high-energy workout will teach you how to keep your body healthy while enjoying a variety of dance moves executed to a fun selection of music. Johnson has made more than 20 workout videos and was the star of the TV show "Victoria's Body Shoppe."